An impressive collection of 6 bottles of the finest wine in the world. Not only are these wines famous for their superb flavour and impeccable ruby red colour, but they are also some of the oldest in Rioja. As you sip on a glass of Vina Alarde, your senses will be met by a perfectly balanced blend of strawberry, morello cherry, and vanilla. 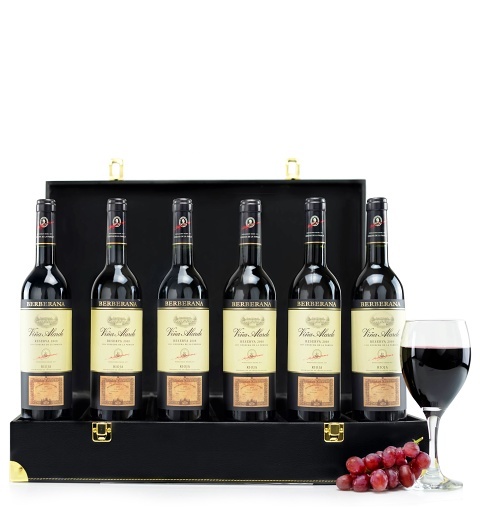 All neatly packed in a black leather suitcase, this is an elegant and thoughtful gift for any wine lover.